They’re huge, razor-thin, and carry the latest in TV tech. LG’s newest line of curved-screen smart TVs deliver on the color reproduction and picture quality, as well as size choices and features. 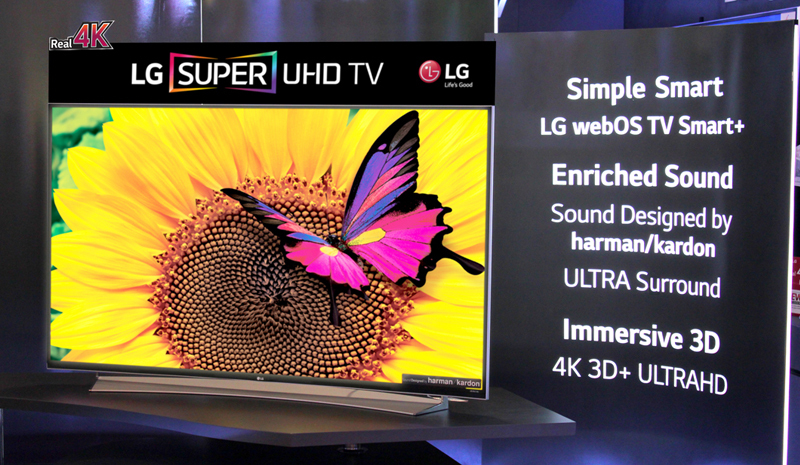 The flagship TV, the UF950T, is the first of LG’s smart TVs line of new sets. It features the ColorPrime Display by Nano Spectrum, promising the most accurate color reproduction to date. Pair that with a super-slim screen and you have a drool-worthy centerpiece for your home entertainment system. The UF950T also features the latest version of LG webOS TV Smart+ and Premium Sound designed by harman/kadon, one of the big names in the audio industry. Similar to the flagship, the UG8700 also features 4K IPS but on a curved screen this time, making for great viewing angles, and a more immersive experience. 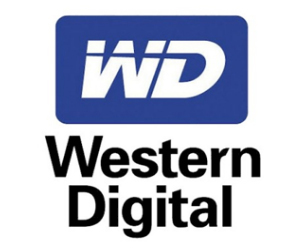 Its available in 65-inch and 55-inch variants, which is great for any setting. Also with the UG8700 is LG’s auditorium stand to complement the downward-facing speakers for maximum audio quality. Perhaps the best feature of the UG8700 series is that it’s ready for digital HD streaming, further adding another layer of future-proofing. More and more people are turning to streaming services like YouTube and Hooq, while local TV channels are also embracing the power of digital via streaming of programs, so being made for Philippine Digital broadcasting allows LG’s UG8700 TVs to make a smooth and secure transition in the near future. 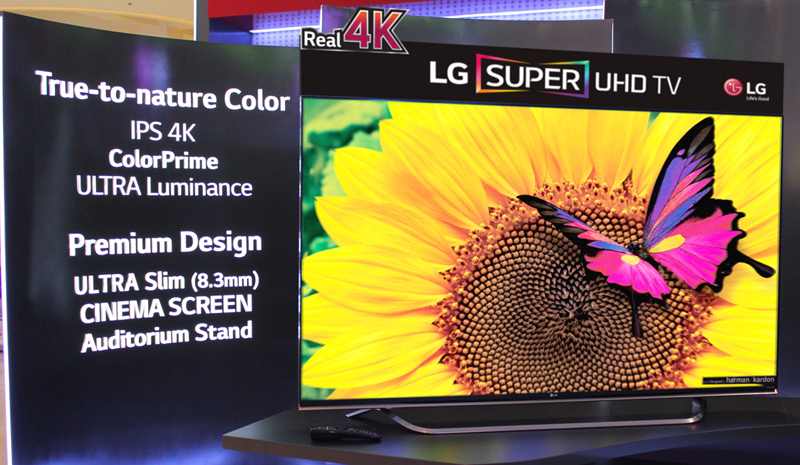 You can check out the new 4K Super UHD TVs from LG at Anson’s The Link in Makati City.